Preserving Tangible Family Memories - and Dreft Giveaway - Fueled by chile, frijoles & tortillas. Few things are more memorable than actual tangible items. Every time I see the blanket my mom made for my son I get emotional. Or the fuzzy baby overalls that I bought at a resale store, it takes me back 13 years. I want to forever hold on to that feeling and the memories that come to mind when I’m looking at or holding these items. It’s important that I preserve these for years to come. 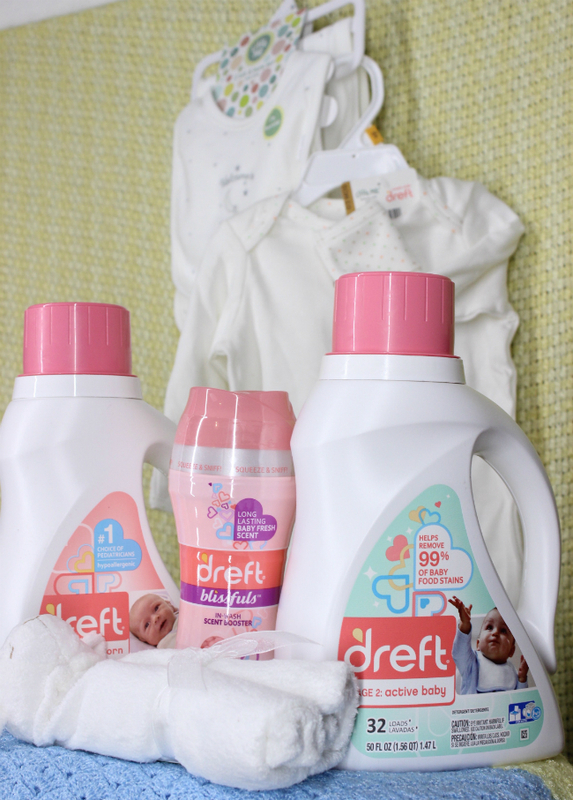 I actually used Dreft for my son’s clothes when he was an infant. It wasn’t an expensive investment at all. He was allergic to other household detergents and when I found out that Dreft is pediatrician-recommended, I hoped it would be soft enough for my son’s skin. It was, and it did just what we needed it to do, just enough to get his clothes clean without any harsh treatment to the garments. Now that I sit here looking at his clothes from back then, years later, I am so happy I made this choice. It also made me want to share a few quick tips on how I preserve his clothing for years to come. Tip number 1. Use mesh laundry bags for clothes not made with 100% cotton. Mesh bags prevent clothes from stretching and ultimately tearing, or from coming undone. Tip number 2. Separate lights from darks and do not wash baby clothes with anything else other than more baby clothes. You don’t want to ruin your baby’s clothes because someone forgot a pen in a pocket. Tip number 3. Use detergent made for babies clothing. The mixture in baby detergent is made to protect clothes from regular wear and tear, which ultimately means it lasts longer because it can endure more machine washing. I recommend Dreft. We all know how much babies clothes is constantly being washed. Three or more outfit changes in one day is a lot of clothes. Ultimately I want to hand over these baby items to my son when he is ready for his family (if he makes that his choice) so he and his family can make the same tangible memories. Along with tangible memories I hope to teach him the importance of the nuclear and extended family. 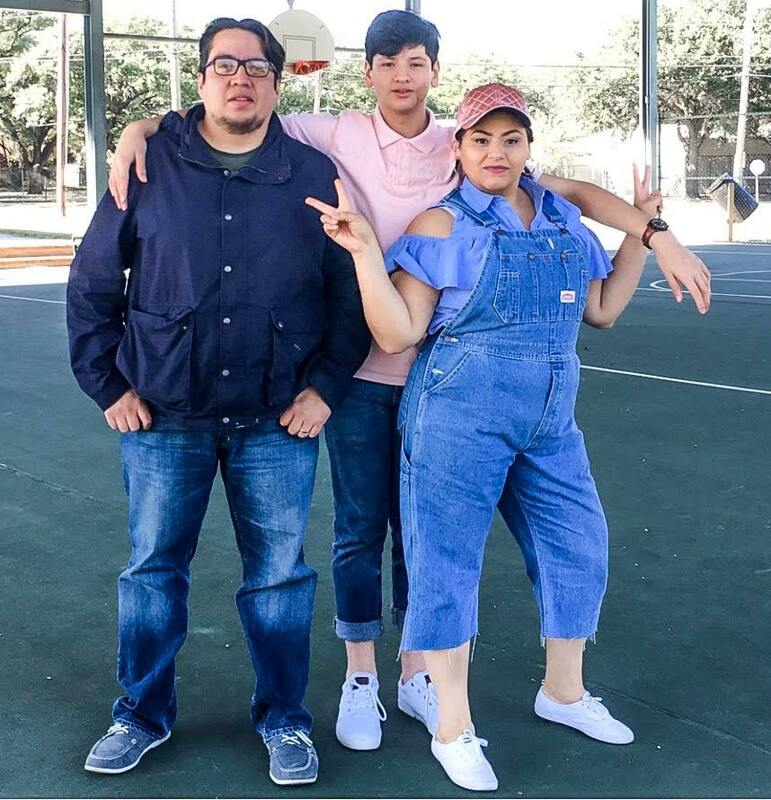 Wether they are family by choice or related. We are excited for Sean and Catherine Lowe and their expanding family. They recently celebrated the soon-to-come addition to their own family with a baby shower in partnership with Dreft. You can also share in the Lowe’s parenting journey via the #Amazinghood hashtag on Instagram, Facebook and Twitter over the next year, or by following Dreft. We are also hosting a giveaway of the following items. For your chance to enter, please leave us a comment with your best tip for the Lowe’s on being new parents. Please enter before Friday, May 20, 2016. Good luck! My best advice/tip for new parents is to enjoy every single stage/moment with the baby. Also sleep when the baby sleeps and use Dreft. 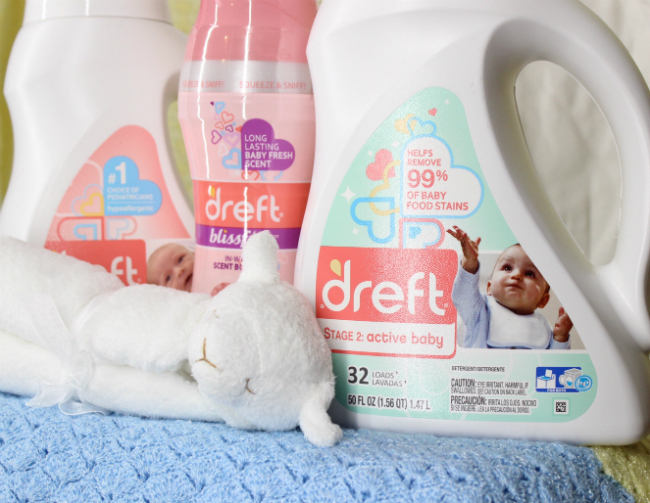 Dreft was recommended for my daughter since she has very sensitive skin. Now she’s five years old and I still use Dreft. Sleep when the baby sleeps…housework can wait! That’s so true. Great advice. My tip is to try and relax and just enjoy the baby in a calm environment. My tip is to ask for help if you needed, don’t feel bad, ask for others help and advice, also the slow cooker can be your best friend during this days. Very important to ask for help. A lot of times we don’t because we think we should already know or feel embarrassed for not knowing. Thanks for the tip! Ha! Love the slow cooker idea! Don’t worry about things not going as you planned. You can only experience these precious moments once so really enjoy it! Thanks for this great advice! You’re so right about going with the flow. Prep some food and store it in your freezer for easy meals! Always accept all help because the person offering it really does want to help you! My best tip for all new parents is to accept all offers of help with meals and chores. Enjoy each day with baby because they grow up so fast! Try to rest when the baby rests. Sleep when the baby sleeps. Do not worry or stress over having to do dishes and laundry. It is much more important to get your rest than to keep your house clean. My best advice is take care of yourself too, And if friends and family offer to help LET them! Like many others have said, I think the most valuable piece of advice that I’ve gotten was from my mom and it’s that “you can’t do it all.” We’re all beautiful imperfect that have support networks for a reason. It’s okay to need to take a moment to yourself and de-stress and collect yourself. I stand by my advice to ask for help if you need it. There will be times when you are too tired to function, or too worn out to think straight. People don’t always offer but you will be surprised by how willing to help they are. I call a friend and offer to buy a pizza for lunch, and they are very happy to let me grab a nap. 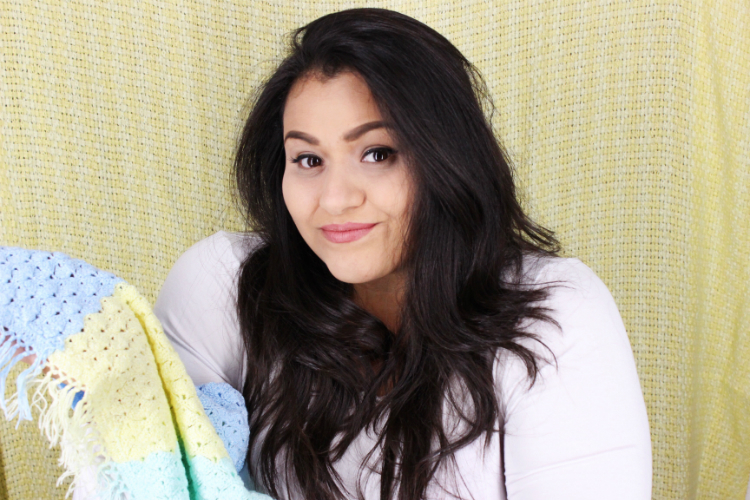 I am pregnant with baby #2 and due in a month….I will be using my own advice shortly! Thank you all for the wonderful comments. They are greatly appreciated and I know any new mom will certainly be able to appreciate them and use them. The winner of our giveaway is Harmony B. Congratulations! Please look for an email in your inbox with further instructions. Thanks again and enjoy!